A 3- tier wedding cake delivered to Merewood Country House Hotel for the wedding of Frances and James. 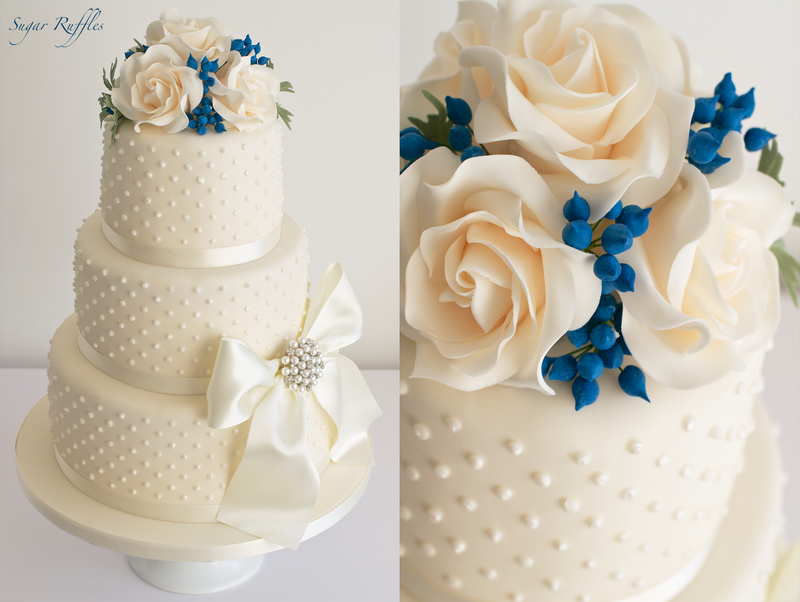 "Charlotte, thank you for our stunning wedding cake - it was absolutely perfect and tasted fantastic. Really put the 'icing' on our day"
Thanks Petra! I really loved working on this design!